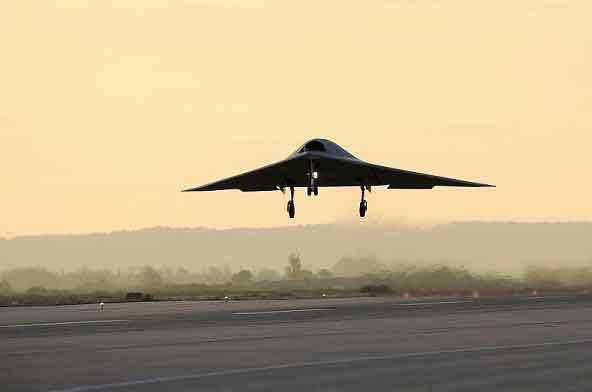 The nEUROn is the first large size stealth platform designed in Europe. Building on the experience gained from recent projects, for the first time in a military project, the nEUROn is designed and developed within the frame of a completely integrated “Product Lifecycle Management” (PLM) environment, through a “virtual plateau”, allowing Dassault Aviation and its partners, located in the different countries, to simultaneously work together on the same design data base, independently from the location where the design activities are currently performed. For the coming twenty years, the European combat aircraft industry will face three main challenges: -- the need to develop strategic technologies, -- the necessity to uphold skills of excellences in areas in which the European industry has gained technical competences and fields of excellence, -- the goal to provide workload to the european design offices. Facing such a situation, the French government took the initiative by launching in 2003 a project for a technological demonstrator of an “Unmanned Combat Air Vehicle” (UCAV), elaborated in the frame of a European cooperation scheme. The aim of the nEUROn demonstrator is to provide the European design offices with a project allowing them to develop know-how and to maintain their technological capabilities in the coming years. This project goes far beyond the theoretical studies that have been conducted until now, as it plans the building and the flight demonstration of an unmanned aircraft. It is also a way to implement an innovative process in terms of management and organisation of a European cooperative programme. To be fully effective, a single point of decision, the French Defence Procurement Agency (DGA – Délégation Générale pour l’Armement), and a single point of implementation, Dassault Aviation company as prime contractor, were settled to manage the nEUROn programme. The Italian, Swedish, Spanish, Greek and Swiss governments acting together with their related industrial teams, Alenia, SAAB, EADS-CASA, Hellenic Aerospace Industry (HAI) and RUAG, have joined the French initiative.